if airlines from the us don't pay up for their carbon dioxide emissions, they have to face curbs in Europe. 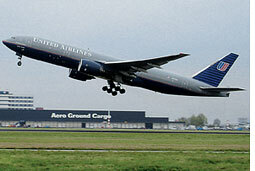 On March 14, the eu's transport commissioner Jacques Barrot issued an ultimatum to us airliners. Barrot said us carriers should join the eu emissions trading scheme or they had to set up an equivalent system in the us. The current decision is likely to fuel an already brewing environmental dispute between the eu and the us which is refusing to let airlines join a carbon trading scheme (see 'Polluting airlines have a supporter', Down To Earth, June 15, 2007). The International Air Transport Association also said 170 countries opposed the move. "It's possible to imagine reducing the number of flights," Barrot said. He even added a member of the us Congress' environment committee said a deal would be possible after the Bush administration ends. He asked the us to lift restrictions on foreign ownership of airlines and accept eu security procedures. The us and eu will begin negotiating a second phase of their "open skies" agreement in May 2008.
eu airlines will also join the emissions trading scheme in 2012, which could add up to 13 (about us $30) to the price of a return flight tickets as carriers buy carbon credits. The eu carbon emissions trading scheme has an economic angle too. eu airlines want foreign airlines to follow the same environmental standards they have to meet. European carriers want foreign rivals co-opted on to the scheme because airlines who refuse to buy carbon credits will offer lower fares. eu says all airlines flying in and out of the continent must get carbon credits.